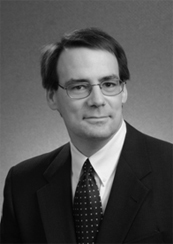 Craig C. Dirrim is a partner in the Lincoln Law Firm of Woods & Aitken LLP, where he practices areas of construction litigation, alternative dispute resolution, and commercial litigation. Mr. Dirrim received his B.S. degree and his J.D. degree from the University of Nebraska. He previously has spoken for various Professional groups on his areas of practice. 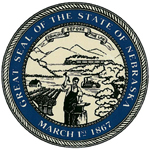 Mr. Dirrim is a member of the Nebraska State Bar Association and is admitted to practice before State and Federal Courts, the Court of Appeals for the Eighth Circuit and the United States Supreme Court. 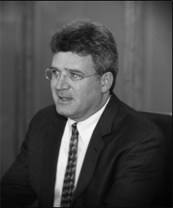 Mr. Kester’s experience includes complex litigation and Appeals involving both government and private contracts, and he is admitted to practice before State and Federal Courts, the Court of Appeals for the Eighth Circuit, the United States Court of Federal Claims, and the United States Supreme Court. 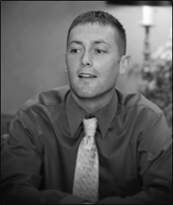 Kory George started at Woods & Aitken in 2002 as a law clerk and since that time has concentrated in the practice areas of construction law and commercial litigation. He has lectured and presented before various trade industry groups and professional organizations on such topics as AIA contracts, change orders, killer contract provisions, construction lien and bond claims, design-build contracts, subcontracts, purchase orders, and project delivery methods. He is an active member of the American Bar Association (ABA) Forum on the Construction Industry and is involved in the Contracts Division. He is also a member of ABA Section of Litigation Committees on Construction Litigation and Commercial and Business Litigation. 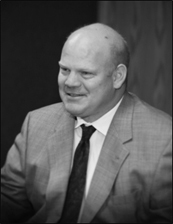 Bruce Smith is a partner with Woods & Aitken LLP and has practiced with the firm since January 1999. His practice encompasses all phases of litigation, arbitration and mediation with the vast majority of his time spent on construction and insurance law and the remainder of his time divided between other civil, commercial and personal injury litigation. In the area of construction law, in addition to representing clients in litigation, arbitration and mediation, Mr. Smith routinely represents owners, architects and engineers, general contractors and subcontractors in contract negotiations, contract review, and the development of standard form contracts and advises these clients regarding contractual transfer of risk. 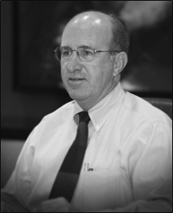 In the insurance law arena, Mr. Smith focuses on obtaining insurance settlements for individuals and businesses. Mr. Smith is affiliated with the American Bar Association Forum on the Construction Industry, Nebraska Bar Association, Lincoln Bar Association, Nebraska Association of Trial Attorneys and Defense Research and Trial Lawyers Association. Andrew B. Koszewski is a partner with the law firm Woods & Aitken LLP where he specializes in business planning, corporate/business taxations and banking and real estate transactions. His practice experience includes representation, and counseling, of private companies (including corporations, limited liability companies and Limited liability partnerships) engaged in various Industries, trades and businesses. Mr. Koszewski received his B.A. from the University of Nebraska-Lincoln, his J.D. from the University of Iowa College of Law, and his LL.M. from University of Missouri-Kansas City, College of Law. Krista L. Kester is a partner with Woods & Aitken LLP and offices in the firm’s Lincoln office. Since joining the firm in 2000, she has focused her practice on commercial and construction litigation, appellate practice, and the representation of foreign insolvency liquidators. Ms. Kester received a bachelor of science (with high distinction) in 1976 and a juris doctorate (with high distinction) in 1990, both from the University of Nebraska-Lincoln. Prior to entering private practice, she served as a judicial law clerk for the Honorable Warren K. Urbom, United States District Court for the District of Nebraska, and as an adjunct professor (legal research and writing) at the University of Nebraska College of Law. She is a charter member and past president of the Eighth Circuit Bar Association.